Neglected and abused, the building shows little hint of its impressive history. In the first decades of the 19th century the area recently known as Lispenard Meadows--a sprawling tract owned by Anthony Lispenard and his wife, the former Alice Rutgers--saw development as handsome brick-faced homes rose on the newly-laid streets. The little two-block roadway named Lispenard Street was opened in 1809, at which time it turned abruptly north between Church Street and Broadway to meet Canal Street. In 1821 the street was straightened to intersect with Broadway. That year William Ross began construction of his home at No. 58 Lispenard. Completed the following year, at 25-feet wide the Federal-style home reflected its owner's comfortable financial status. Handsome paneled lintels graced the openings of the two-and-a-half story house. Ross lived here with his wife, Hanna. 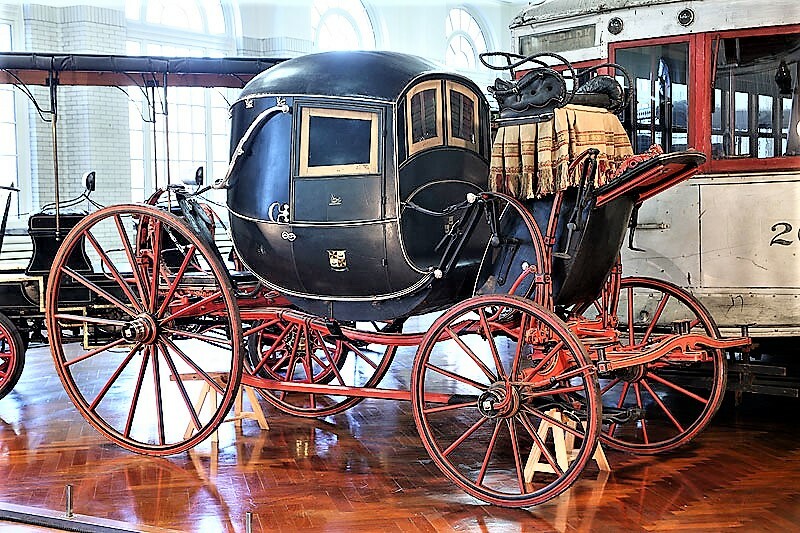 He had made his fortune as a coachmaker to clients who were, quite literally, of the carriage trade. The quality of his work miraculously survives in the 1797 carriage he designed for Daniel Campbell for his wife, Engeltie Bratt Campbell. The two-passenger vehicle, known today as The Campbell Chariot, was the epitome of elegance and luxury at the time. In 1827 Hanna Ross was listed in city directories as "widow of William." When she died is unclear, but by 1836 the Ross heirs were leasing the house. The widowed Julia Mills lived here that year when she subscribed to The Passion Flower. The monthly, 96-page magazine included two full-page drawings of flowers. "The tint leaves are for crayon sketches or desultory thoughts," explained an advertisement. The $5 yearly subscription Mrs. Mills paid "in advance" would be equal to about $135 today; evidence that she was financially comfortable. Three years earlier Piero Maroncelli had fled to New York from his native Italy where the poet, musician and journalist had spent time in prison for founding a revolutionary newspaper. During his 12-year incarceration he developed a tumor on his leg. The New York Times later reported "The prison barber hacked off the limb, and after months of suffering Maroncelli's life was saved. His sentence was commuted, and he came to this country." Listed in directories as "Professor Marconelli," he had moved into the Lispenard Street house by 1841. In addition to teaching music, he wrote critiques for the New York Sunday Mercury and the New World, wrote several books, and published poems and musical compositions. Godey's Lady's Book described him as "irritable, frank, generous, chivalrous, warmly attached to his friends, and expecting from them equal devotion. 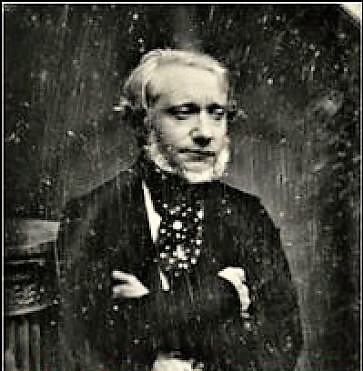 His love of country is unbounded, and he is quite enthusiastic in his endeavours to circulate in America the literature of Italy." Maroncelli never truly recovered from his treatment in prison. In June 1846 Godey's Lady's Book said "Maroncelli is now about fifty years old, and bears on his person the marks of long suffering; he has lost a leg; his hair and beard became gray may years ago; just now he is suffering from severe illness, and from this it can scarcely be expected that he will recover." Indeed he did not. 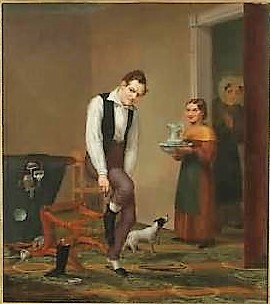 He died in the Lispenard Street house on August 1, 1846. Exactly one month later the New-York Daily Tribune chastised Italian-born New Yorkers for their lack of a proper display of respect. "The Italian population of New-Orleans are to celebrate with appropriate solemnities the death of Piero Maroncelli, the Italian martyr, who recently died in this City. We have heard of nothing of the kind among our Italian citizens." If the newspaper was disappointed in the public display of respect at the time of Maroncelli's death, it would certainly have approved of the massive ceremonies four decades later. Maroncelli's casket was disinterred from Greenwood Cemetery in preparation for the return of his body to Italy to be buried with honors. The New York Times reported on July 21, 1886 "The entire Italian colony of this city was in Broadway last night." Tammany Hall was packed with Italian-born citizens, many in various uniforms. "In the centre of the hall stood a large catafalque. It was nearly 10 feet in height, and consisted of five square platforms, one above the other, and growing small as they went upward." Atop the black-draped structure sat the white coffin of Maroncelli. Following the ceremonies, the casket was carried to a hearse drawn by four black horses. The procession proceeded to the Wall Street Ferry. The Times noted "The street was literally packed with people." 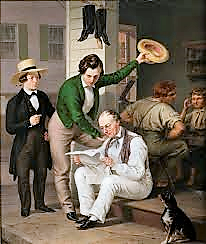 In 1845, the year before Marconcelli's death, artist Christian Mayr was listed as sharing No. 58 Lispenard Street. That year he submitted at least two paintings in the exhibit of the National Academy of Design--Death of Abel, and Waiting the Arrival of my Cousin, Who Promised me a Good Situation in Town. Born in Nuremberg, by 1823 when Mayr enrolled in the Academy of Art in Munich he had established himself as an architectural painter. He immigrated to the United States in 1833, settling in New York in 1845. How he came to share the house with Maroncelli that year is unclear. It appears that Mayr's artistic career was earning him a comfortable living. On November 19, 1846 he placed an advertisement in The New York Herald reporting that a "draft for $1000 has been lost (through the Post Office)" payable to him. The announcement reported that the draft had been stopped and any information on the lost check, worth about $32,400, would be appreciated. Around the time of Maroncelli's death the Ross family converted the first floor of No. 58 to a shop. In 1846 it housed the businesses of tailors John Hawkes and Isaac L. Cowl, and upholsterer E. C. Gading. Mayr now shared the upper floors with physician William Nathusius. Christian Mayr died in the house in October 1850. His funeral was held in here on October 21. As his executors attempted to settle his estate, they placed an advertisement in the New-York Daily Tribune on December 7 that included "Persons in possession of paintings or other articles of art, &c. belonging to the deceased, are requested to return the same without delay." Mrs. Rebecca McGuinness, the bearer of this, is a destitute Scotch woman who followed her husband to this country, where they expected to secure the comforts of a happy home; but he, unfortunately, died in Rochester a few days before she reached this city. Mrs. McGuinness has herself suffered from severe disease since her arrival, and was under my supervision in the hospital; she is now desirous of ascertaining if she can procure aid from your society to enable her to secure such employment as may preclude the necessity for separation from her young son. The following decade saw commerce encroaching on the previously upscale neighborhood. In 1860 the floors above the shop were home to several renters, including Alexander Condy, who listed no profession in directories, and shoe maker Theobald Deitsch. One resident, named Moone, was inducted into the Union Army in 1863. Around the end of the Civil War the Ross family sold the property to Jacob Pabst. In 1867 he hired architect Julius Boekell to convert the residence for business. The peaked roof was removed and the attic raised to a full third floor. Interestingly, Boekell copied the original paneled lintels for the new windows. The architect also converted the former tailor shop to accommodate a restaurant run by Pabst and his wife Christina. A fashionable, up-to-date Italianate cornice looked as much domestic as commercial. The renovated building became home to clothing manufacturers, the first being Baudouine & William, owned by Abram Baudouine and William P. Willis, which moved in 1868. In 1876 two shirtmakers, Ballou & Co. and William Henry Olmstead, shared the upper. The former Pabst restaurant was the "eatinghouse" run by George Spangenmacher by 1875. Described in directories as a "wine-and-beer merchant," he also ran a saloon in his home state of New Jersey. J. R. Haines and Company was in the building by 1885, run by John R. Haines an John K. Halsey. A tenant not directly involved in making garments was Aaron Waldman, a dealer in buttons. Things were going better in the button trade than in domestic life for Waldman in 1890. He was served a judgment of $947 by the sheriff on December 14 that year for Goldina Waldman. The turnover in tenants was routine; but it seems there were never more than two at any time. In 1894 Minnie Mosso manufactured children's clothing here. She employed two men, four women, and two girls. The staff worked 53 hours per week, plus 8 hours on Saturdays. As the turn of the century approached, Otto Gottschalk had taken over the saloon formerly run by George Spangenmacher. The building was sold at public auction to George J. Ponders on March 7, 1900. He retained ownership for only two years, selling it in 1903 to William Philip Hoffman who announced that "alterations will be made" to the building. At the time The Parisian had been making shirt waists here for several years. In 1901 the small shop employed just three men who worked 54 hours a week. Hoffman's alterations may have included renovations to the former saloon. It now had a far different tenant, the Physical Culture Restaurant. It was one of a string of 12 restaurants in Manhattan, Brooklyn, Boston and Philadelphia intended as a means to advance "the Physical Culture work and hygienic living." Ironically housed in the former saloon space, it was what might today be termed a health food restaurant. Former patrons who wandered in would be distressed to find that alcohol was markedly absent. Dry goods and clothing operators continued to lease space upstairs. In 1908 dry goods jobbers Kleban & Jacobs were here, staying at least through 1910. Around 1912 Louis Barall & Son began selling men's business attire directly to the consumer here; and in 1914 Jacob R. Gold & Co. was leasing space. Makers of "hosiery, underwear, shirts and gloves," that firm remained until moving to Crosby Street in 1921. By 1924 Frank Jacobovitz had run his odd-lots business from the former restaurant space in No. 58 for several years. He routinely advertised "cash paid for stores stocks and merchants, also job lots." When he had sufficient inventory, he auctioned the goods to retailers. Things were slow on the afternoon of February 2 that year so Jacobovitz and five other men were passing time by playing cards. Suddenly five men walked into the auction room. With their right hands in their pockets as if holding pistols, they ordered the men "Keep your hands down. Don't make a move that will attract attention." Because the thugs never showed their weapons and, according to The New York Times the players "took the matter of arms on faith," the police called it a "mental robbery," the first ever reported in New York. As scores of workers heading home passed by the large windows, the bandits gathered up cash and jewelry, including Frank Jacobovitz's ring that he valued at $500--more than $7,000 in today's dollars. The Times noted that anyone glancing inside "from the casual manner in which the valuables changed hands, apparently regarded it as a straight business transaction." The robbers then hurried to a waiting automobile and disappeared into Broadway traffic. Amazingly, as tenants upstairs came and went, the one who steadfastly remained was Louis Barall & Son. They were still in the building during the 1960s and '70s when the firm Plastics offered novelties through mail order. Among the items offered in magazines like Boys' Life was the miniature, steel framed set of plastic drawers to store screws or hobby collections. On October 8, 1982 John Duka, writing in The New York Times, tipped off male shoppers to the secret on Lispenard Street where, he said, "Louis Barall & Son have been selling men's clothing for 72 years, primarily to those who work on Wall Street." He noted "the quality of the goods at Barall is comparable to that offered by such stores as Barney's." By now the firm had moved into the street level store. The upper floors were converted to joint living-work quarters in 1984. When the venerable men's furnishers finally closed its doors on March 10, 1995 the shop space served for several years as an annex to Pearl Paint. The rear entrance of the main store on Canal Street was almost directly across Lispenard Street. Today the brownish-red paint peels from the brick facade, giving the venerable house-turned-business building a lonely look; one that conceals the fascinating history that played out within its walls.